If you're moving domestically, internationally or just relocating your business, Madison Van Lines has a comparable to other brokers. 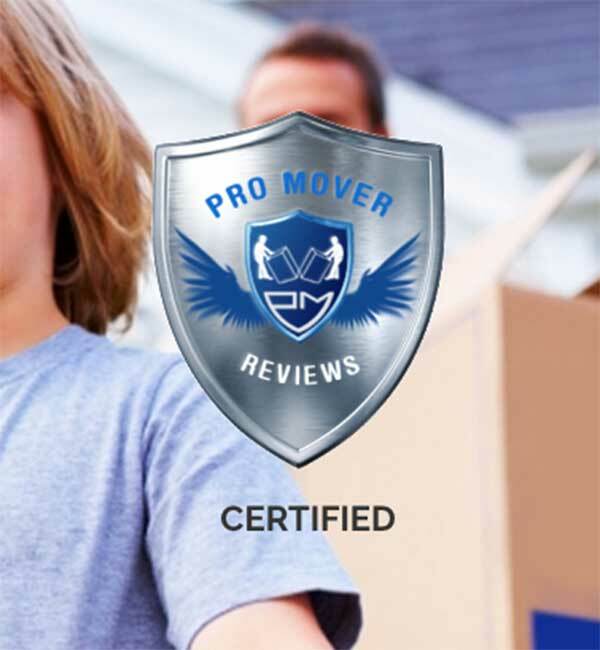 Be sure to check out our best picks for movers. There has never been such a thing as a stress-free move and reports of a move that went off without a single hitch are rare. However, customer reviews indicate that Madison Van Lines out of Boca Raton, Florida does a great job at making a local or interstate move easier. We found that the locally-owned company has far more positive reviews than negative and, according to their customers, they have an overall great performance record. What makes Madison Van Lines stand out is their logistics division which, through a partnership with their sister company, Ocean Star International, a licensed freight forwarder by the Federal Maritime Commission. This partnership allows them to offer domestic and international freight shipping in-house. Check out a more in-depth look at the best long distance movers, including Madison Van Lines, on our guide. The first step when moving locally is to put together a general inventory list of the things in your household. This list will be the initial basis for the time it will take to get your possessions loaded, moved and unloaded. Once a Madison Van Lines agent has that information, they’ll determine whether or not a visual survey is necessary to fine tune your estimated quote. Local moves are billed based on hourly rates and those rates vary, based on the overall size of your move and how many movers you will need. Like moving locally, the first step when moving from one state to another is to put together a thorough and detailed inventory list of household items. This list will be the initial total volume of your belongings, which is the basis for your cost estimate. Once a Madison Van Lines (MVL) agent has that information, they might do an onsite visual survey to get you an exact quote. If MVL doesn’t do a visual survey but you want one, you can request one to make sure the quote is as accurate as possible. Being detailed with this information goes beyond counting the number of rooms, boxes or pieces of furniture. You also need to give the agent critical information about your current home, so they will know if you need extra services like long-carry add-ons or shuttle services. Once a contract is signed the moving date is set, but you will have to be flexible since interstate moves with MVL require a two-day window for freight pick up. Moving to another country requires much more in the way of paperwork. You will need to obtain visas and other necessary documents and your possessions may need to clear customs before they can enter the final leg of their journey to your new home. A moving broker that is not specially trained in all aspects of an international move can miss a lot of details and rules that can make or break your moving experience. Madison Van Lines has the necessary knowledge and experience to accomplish international relocation as easily as a move across town. Madison Van Lines understands the time-sensitive nature of military relocations and has experience moving military members and families domestically and internationally. If you’ve been transferred to another location, contact an MVL relocation representative with dates and the information for your final destination. They’ll coordinate your family’s move with flexibility, making sure your household goods are moved when you need them. In addition to their four core moving services, Madison Van Lines offers additional services such as packing, storage and auto transport. for your car or truck. can save a significant amount of money. Professional Packing Services MVL is very flexible with their packing services. wrap so you can do it yourself. Former clients give Madison Van Lines great reviews overall. “Excellent” is a word that is used liberally by many customers when referring to the company’s moving process. Some clients had issues with the customer service agents while others couldn’t say enough good things about the movers that Madison Van Lines used. Several people noted that friends who had used the company referred them. Better Business Bureau – “A” rating with a composite score of 3.46 out of 5 stars. You can visit the company’s website to get two separate types of quotes for free – one for a residential move, international move or auto transport, and one for a corporate relocation quote. Fill out the online form, including your moving date, the type of move you’re making, the size of your move (how many bedrooms) and whether you need an in-home estimate. I didn’t get an on-site survey. Can I request one? Yes. If MVL doesn’t come out to do an on-site survey but you’d like one for a more exact quote, you can request one. Will I find any extra, unquoted fees on my final bill? Any moving broker or company may have extra fees tacked onto your bill, depending on the logistics of your move. Long-carry fees and shuttle service fees are two of the most common. What is a long-carry fee? If the distance between your front door and the moving truck is long, you may be charged an extra fee for the movers to walk the extra distance. The definition of normal distance varies depending on the moving company so be sure to ask if there will be a fee. What is a shuttle service fee? When a large truck like a tractor-trailer needs to be used to move your items, backing it up into your driveway may prove to be impossible. When this happens, a smaller truck called a shuttle is loaded with your possessions and then driven between the semi and your home entrance multiple times for final unloading. This frequently adds a charge to your final invoice. Is there a maximum weight boxes should be once packed? 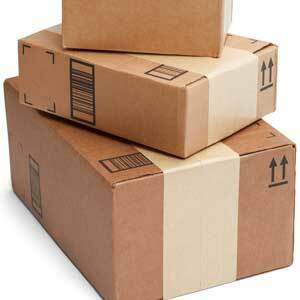 Madison Van Lines says that as a rule of thumb, you should keep your boxes to 50 pounds or less whenever possible. See their blog post, What You Need to Know Before Moving and Packing for more advice on how to pack. Madison Van Lines rates high on the majority of review sites. Their blog offers plenty of tips on planning, packing and moving and it’s updated once or twice a month with fresh content. If you are looking for a reliable, flexible and experienced moving broker who can offer additional services related to your move, Madison Van Lines is a viable option. Hires jobs out to third parties who are not obligated to honor any agreement you have with Madison Van Lines. MVL gave me a price. Extra charges were added at time my cabinet was picked up and again when it was delivered. Asked driver why and he didn't know, just said "that's the price". Driver called and said he couldn't get his truck to my house and it would be extra or I could meet him somewhere to pick it up. Don't know how he knew he couldn't get to house, he was in another state when he called. Also, make sure and insure items to be moved. Madison will only pay 60 cents per pound of item. So, if you have an antique cabinet worth $2000.00, as I do, that weighs about 100 lbs. and they turn it into kindling wood you will only get about sixty dollars. Madison Van Line are brokers. They have no say with any aspect of your move. Maggie - their representative is never available on the phone and all calls will go to voice mail. You can rest assured she will not be calling you back if you leave a message on her voice mail. Their initial estimate provided is based on thin air - unless you have lots of experience with moving and know exactly what to tell them, it will all be over the phone. You will be completely at the mercy of the actual moving company (Ocean movers in my case). Unless you have an on-site visit, your estimates will vary by 300-500%. MVL will provide you zero help through your move. If you get your move insured with them, best of luck getting hold of them to raise a claim.